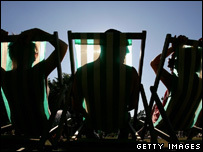 It is bad news for UK people who can not tolerate summers. According to forecast from scientists at UK Met (Meteorological) Office the warming period extended, resulting from an El Nino weather event in the Pacific Ocean can push up the global temperatures. UK can witness 60% change in the surface temperature that is projected to be 0.54C (0.97F) above the long-term average of 14C (57C), beating the current record of 0.52C (0.94F), which was set in 1998. This annual forecast was issued by the UK Met Office’s Hadley Centre, in conjunction with the University of East Anglia. 1. Greenhouse gas emissions from human activity. 2. 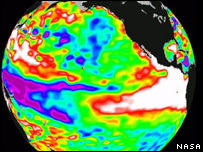 Effect of the El Nino events that are marked by the arrival of unusually warm waters off the north-eastern coast of South America and this influences year-to-year variability of the Earth’s climate. Prof Folland added that the forecast is then fine-tuned by looking back over data from the previous 50 years.